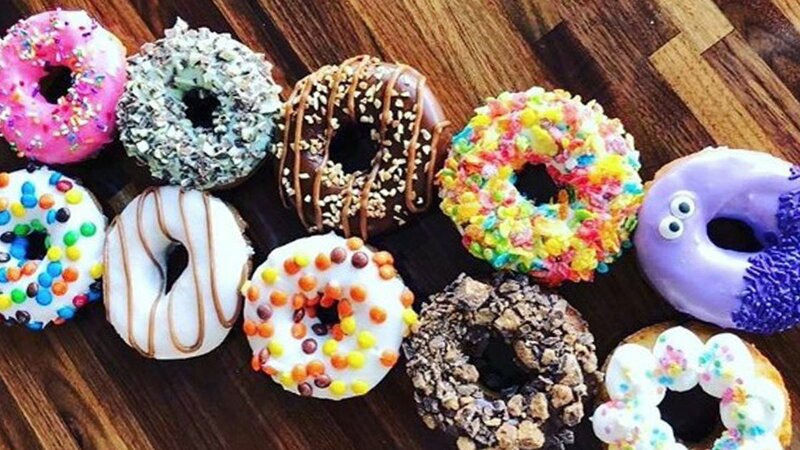 Who doesn’t like donuts? Soft pieces of dough covered up with unique and delicious topping. How about the fillings? Creamy, chocolates and even jams serve for their unique tastes. But you can’t tell how much you really love these snack until you have to meet face-to-face with a Pennywise like clown for a box of ones. Wait, what? Who actually does that? – that’s what people use to ask when hearing about it. 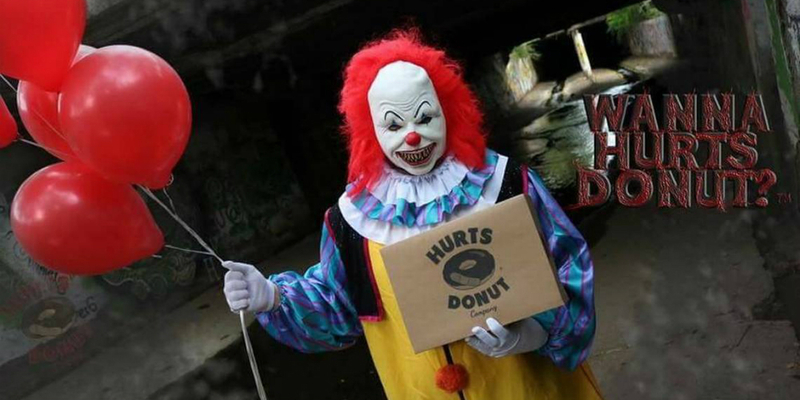 However, if there is a Hurts Donuts bakery in your area – you can order this service to scare your friends to death. Yep, they actually do that. 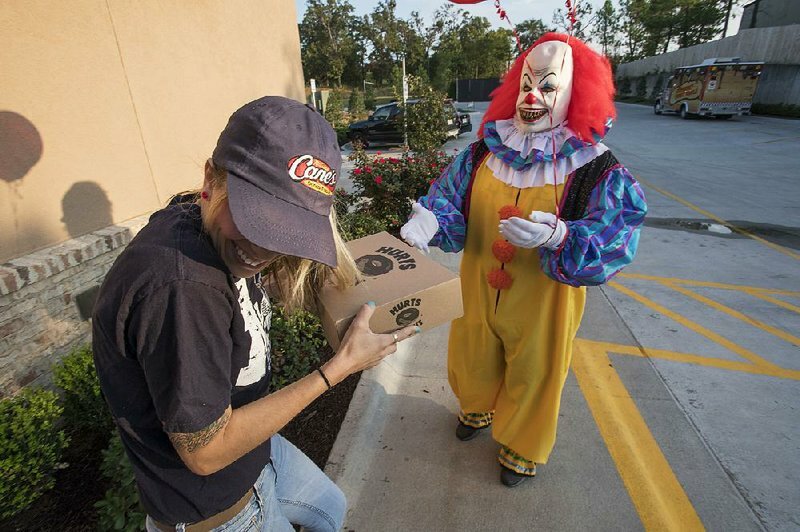 And dozens of people have shared their vids of meeting ‘Pennywise’ with a box full of donuts on their way. So, how does this thing work? 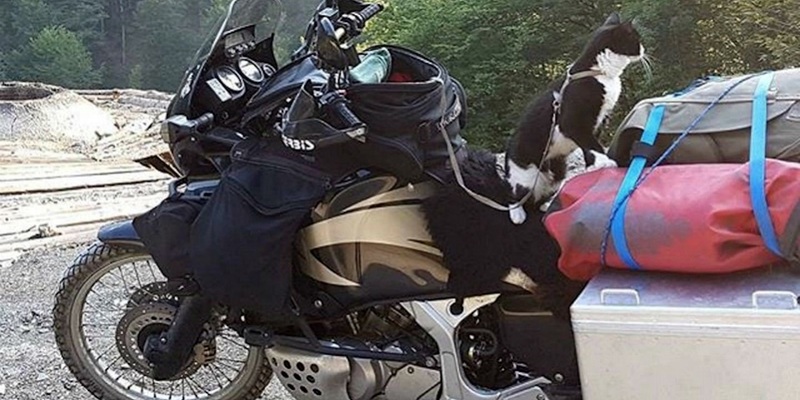 They accept orders just like any other delivery service. But on the set day and time they send not a nice and polite delivery guy, but a scary clown. He is so scary, a ton of bricks appears at your bottom right after you see him. Clown shows up with red balloons, similar to what we’ve seen in the movie. Moreover, the guy inside that costume is a professional actor. He scares people away as only they try to approach him or grab that box of donuts from his hands. Seems funny, but it is actually not if you meet him in reality. 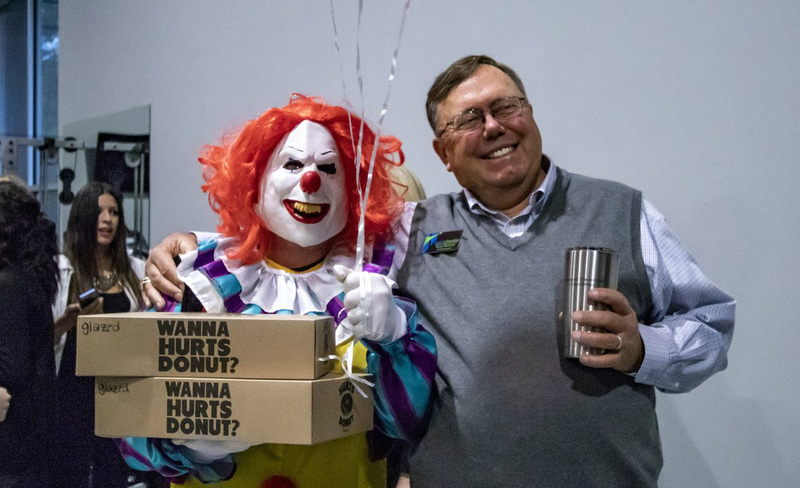 Basically, the clown will slowly advance towards your unsuspecting bud-slash-nemesis, and – without speaking or breaking eye contact with them – honk his clown horn with increasing intensity until they finally take his box of donuts. The clown can chase the victim around the room or in the backyard – wherever they meet up. But after a while the scary one will give the box away and even pose for a few cool photos. 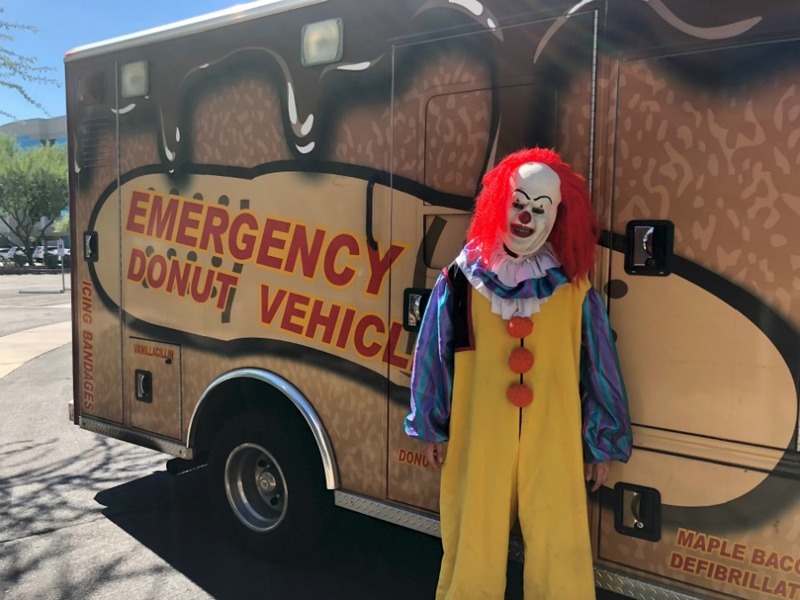 The idea of launching this campaign came to Hurts Donuts’ owners a year ago after tremendous success of the ‘It’ movie remake. 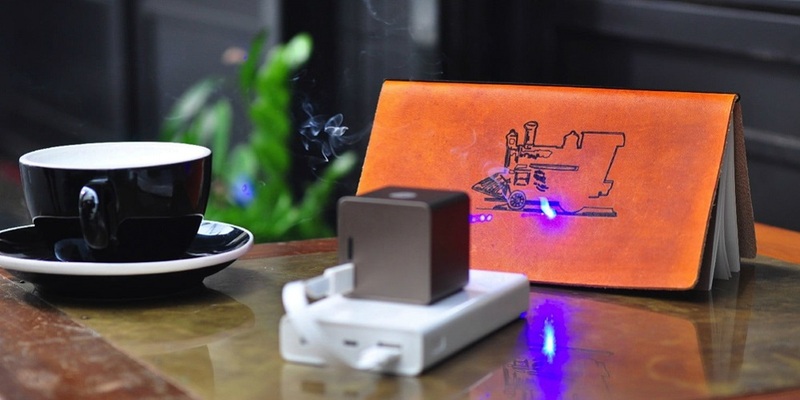 They decided to try it out and suddenly became incredibly popular. Especially right before the Halloween. Instead of silly pranks people are now scaring friends to death just like this. People who have try the service share that first it feels like you are in a trap and something really bad is happening. But after the prank comes to its end – they feel happy plus receive a box of delicious donuts. And everyone is happy. 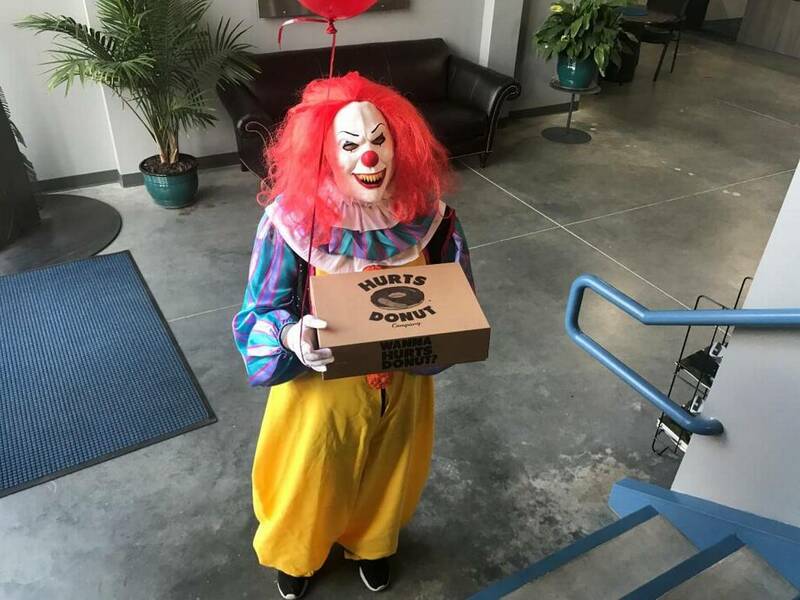 Not sure if Hurts Donuts will keep this service available after Halloween, but it would be cool to have some option like this just to say hi to friends in an unusual manner or tickle their nerves. 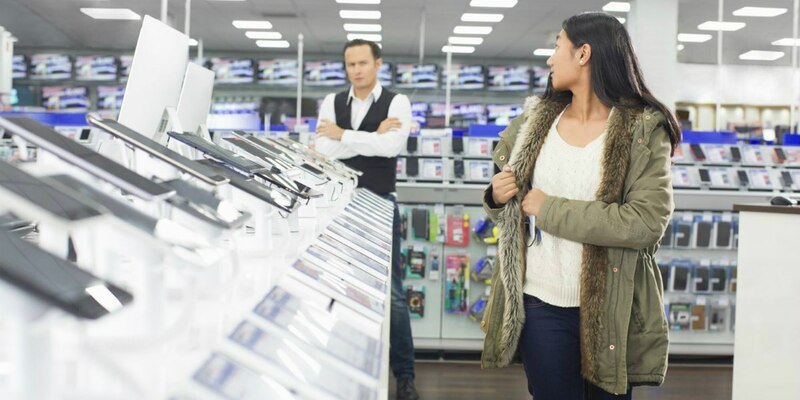 We believe they could work out a few more characters and several scenarios for various occasions. 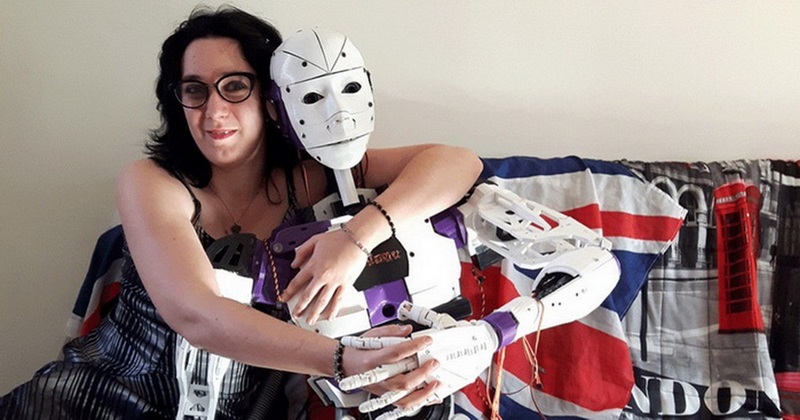 Funny, sad, scary and just weird could work fine for it. Food delivery with surprise. Why not? We have here some ‘music card’ bands you can order to greet your friends or family. So, there should be more options for sweet revenge if something went wrong or there is a challenge you have taken and don’t want to fail it. She posted a photo of her new ink, which goes all the way from her chest to just above her knee. His wife was too tired to discuss this topic every time during the dinner. 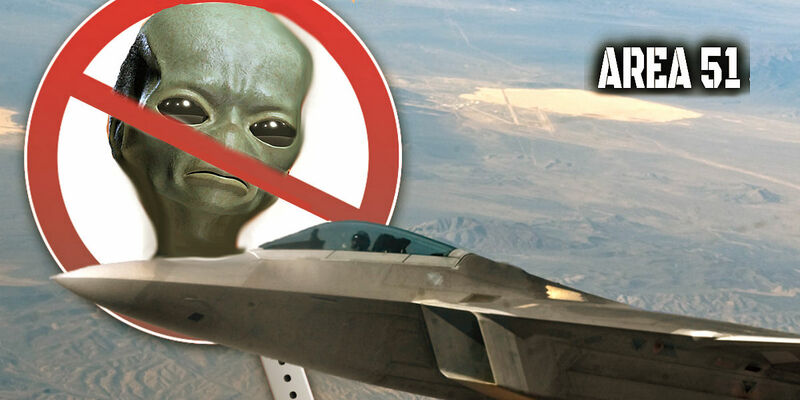 Area 51 And Extra-Terrestrial Life – Do These Two Cooperate?